I don't know a lot of about the Banax company other than what I have a have read elsewhere. In summary they are Korean based firm once known as Bando, appear to have been a parts manufacturer for Daiwa at some time, were one of the first fishing reel manufacturers to have received ISO 9001 certification and have as their company catch cry "worlds best engineering". What I do know is about their reels, and while I am not qualified to judge them as having the worlds best engineered reels I can say they do make some very good ones and at prices that won't break the bank. Banax have a solid range of electric reels, some very nice bait casters and more to my tastes some rock solid spinning reels. Not a lot of the Banax range have made it into Australia more is the shame as these are mostly rock solid in design. Rebranded OEM versions have made it into the country but are higher priced albeit with some tweaks from what I have been told. So for me I have been importing them for myself. A word of caution purchasing overseas means extra postage if there is a need to return items, lack of warranty, parts availability problems etc etc. Banax's electric fishing reels are held in high esteem and are easily the equal of any available. Their low profile bait casters are very well made and hold up reasonably well to Aussie conditions. One mate raves about their bass handling capabilities. The spinning reels are of course my favorite. Banaxs' GT series of heavy duty spinning reels is very highly regarded here in Australia as a reel that can take a battering and just keeps going on and on they are that tough. The SX reels too are awesome snapper and bottom bouncing reels. Again this older technology is a tad weightier but the durability and price makes them seem so much lighter. 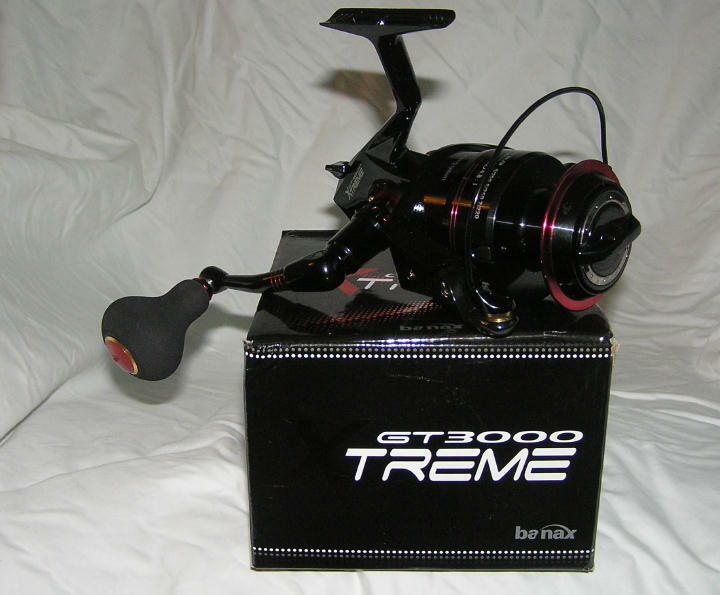 On the big fish side the GT Xtreme shines as a jigging reel with capabilities approaching 25kg of drag although I often wonder just how guys could hold onto that kind of drag without having their outfit sail over the side. On the beach fishing side the Banax past association with Daiwa shows as their long casting beach series of the Poseiden and Triton show some very similar lines to the latters legend. The triton is my pick here, jam packed with features that you wont get elsewhere even close to its price. Banax fishing reels as a size comparison are bigger than many other manufacturers. Their 5000 size reels are very close to 7000 and 8000 sizes and weights but with similar capacities. Most manufacturers seem to make up these numbers as they go along for their own ranges but it is something I thought should be mentioned for anyone ordering blindly without first seeing these reels. If you can track these reels down here they are worth considering as they offer some great value for money if you are in the market for a tough as nails workhorse.